KIRKLAND, Wash., Dec. 20, 2017 – The Kenworth T270 and T370 are now available with the Dana Spicer S140 series of single-reduction, single-drive axles, ranging from 16,000-pound to 21,000-pound gross axle weight rating. According to Dana, the four S140 series axles are designed to handle a wide range of applications and feature broad ratio coverage from 3.31 to 6.50, allowing maximum performance across a variety of vocations. The axles provide excellent durability and reliability with higher horsepower and torque engines due to high-capacity gearing and bearing systems. Standard “R” series spindles are used for ease of fit and commonality. The new S140 axle design also features GenTech™ extra-quiet gearing to reduce noise levels by up to 12 decibels versus standard gear designs and provide a smoother vehicle ride. 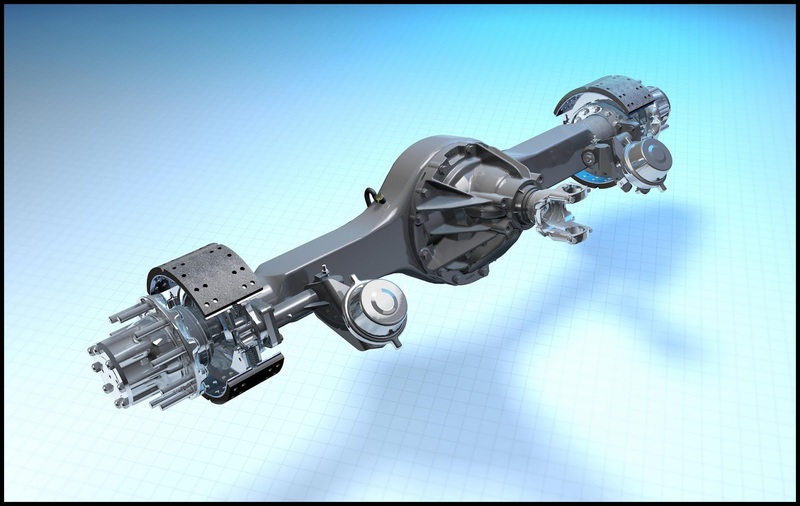 The S140 series axles also offer a weight savings of up to 85 pounds compared to the Dana P20060S axle. “We continue to expand the product offering for the Kenworth T270 and T370. Our customers appreciate the opportunity to have more choices on key components when specifying their new Kenworth T270 and T370,” said Kurt Swihart, Kenworth marketing director.